Posts tagged with "JOE JONAS"
As their new singles heat up worldwide, GRAMMY® Award-nominated multi platinum powerhouse trio–Jonas Brothers—reveal the news that fans everywhere have waited nearly a decade for. 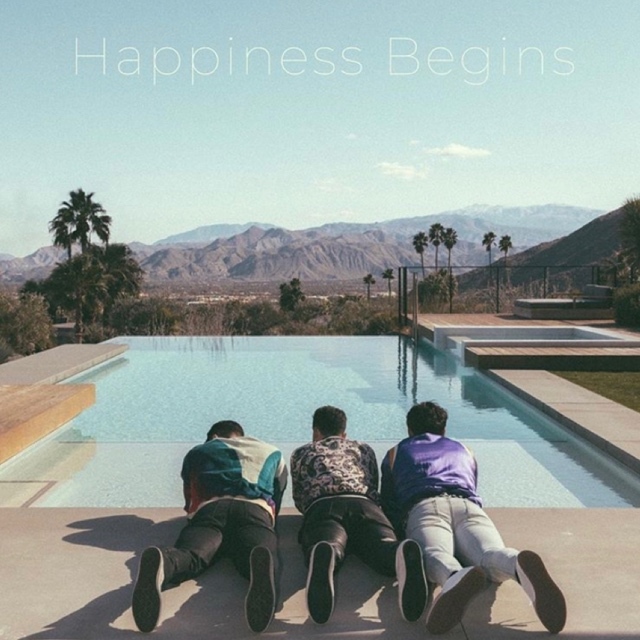 The group will release its first album since 2009 and one of 2019’s most anticipated records, Happiness Begins, on June 7 via Republic Records. This week, “Sucker” makes history as the band’s first number one at Top 40 radio, according to Mediabase. Simultaneously, their newest single “Cool” has quickly ascended into the Top 20 at the format, where it continues to climb. The songs have taken pop culture by storm, becoming the #1 and #2 greatest gainers at the format last week. “Sucker” now exceeds 380 million global streams to date. During release week, it clinched #1 on Apple Music, #1 on Spotify, and #1 on iTunes in North America. Globally, it became #1 on Apple Music, #1 on YouTube, #1 on Twitter, and #2 on Spotify as well as the #1 Streaming Song and #1 Digital Song. Speaking of making history, the rollout of “Sucker” marked “the first time a band debuted at #1 on the Billboard Hot 100 chart this century. Continuing the runaway success, “Cool” notched 45 million global streams and soared to #1 on iTunes Overall Top Songs Chart and Top Music Videos Chart. 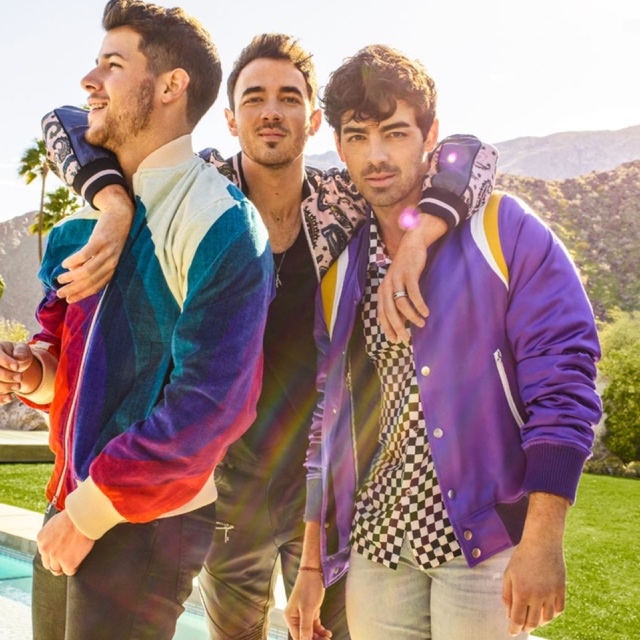 Next up, the Jonas Brothers take the stage for what promises to be two unforgettable performances at the Billboard Music Awards May 1 and Saturday Night Live May 11. Also in the works is the Jonas Brothers new documentary. Last month they announced a partnership with Amazon Studios, Philymack, and Federal Films—a division of Republic Records—to release the upcoming documentary about the band. It’s set to premiere exclusively on Amazon Prime Video in more than 200 territories. The preeminent male group of this century, Jonas Brothers opened the floodgates for a new era of titans in pop music. They earned two number one albums and sold out shows throughout three continents. Selling over 17 million-plus albums with over 1 billion streams worldwide, they’ve achieved dozens of platinum and gold certifications. Jonas Brothers notably received a GRAMMY® Award nomination in the category of “Best New Artist,” garnered “Breakthrough Artist” at the American Music Awards, won Billboard’s “Eventful Fans’” Choice Award for “Best Concert Tour of the Year,” and took home a Mexican Grammy, showcasing their international influence. The tremendous success of the band provided a launch pad for the successful and storied solo careers of Nick Jonas, Joe Jonas, and Kevin Jonas, who have kept loyal fans yearning for a reunion, until now. This entry was posted in Feature and tagged 360, 360 Magazine, Amazon Studios, Billboard Music Awards, comeback, cool, federal films, happiness begins, JOE JONAS, jonas brothers, Kevin Jonas, Mediabase, Nick Jonas, Phillymack, pop, Republic Records, Saturday Night Live, sucker, Tara McDonough, Vaughn Lowery on April 22, 2019 by wp360mag. 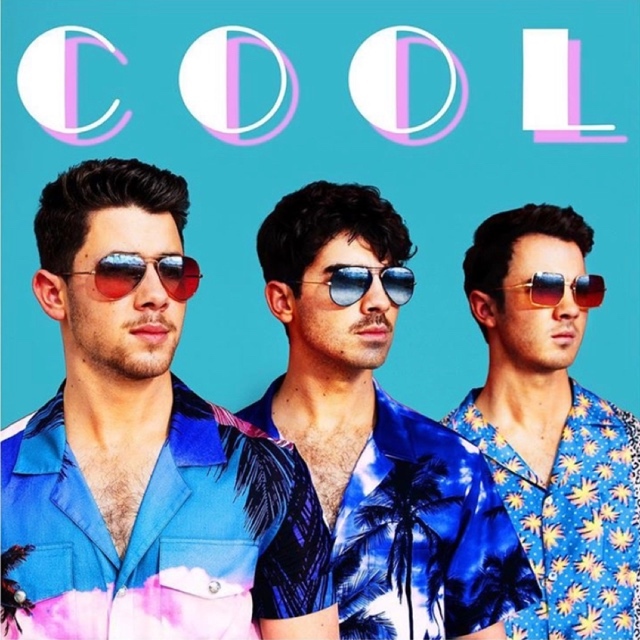 Following the biggest comeback of the year, GRAMMY® Award-nominated multiplatinum powerhouse trio–Jonas Brothers—unleash their new single “Cool” today. To accompany the song, the Jonas Brothers joined forces with “Sucker” director Anthony Mandler to shoot the cinematic music video. Bringing viewers right back to 1984 Miami, it channels the spirit of timeless eighties MTV in all its decadent glory. Fittingly, MTV will debut the broadcast premiere on MTV Live, mtvU and on the iconic Viacom Times Square billboards. The arrival of “Cool” follows the extremely successful release of “Sucker,” which debuted at #1 on the Billboard Hot 100 and is approaching 2 million in global consumption. The success also encompasses North American number ones on Apple Music, Spotify, and iTunes as well as global number ones on Apple Music, YouTube, and Twitter. “Sucker” has remained the “#1 Greatest Gainer for Top 40” radio for five consecutive weeks, recently entering the Top 10 where it continues to climb. As an international phenomenon, it achieves their highest career single chart debut in the UK, landing in the Top 10, and is currently topping airplay charts around the world. Also in the works is the Jonas Brothers new documentary. Last month they announced a partnership with Amazon Studios, Philymack, and Federal Films—a division of Republic Records—to release the upcoming documentary about the band. It’s set to premiere exclusively on Amazon Prime Video in more than 200 countries and territories. The preeminent male group of this century, Jonas Brothers opened the floodgates for a new era of titans in pop music. They earned three consecutive number one albums and sold out shows throughout three continents. Selling over 17 million-plus albums with over 1 billion streams worldwide, they’ve achieved dozens of platinum and gold certifications. Jonas Brothers notably received a GRAMMY® Award nomination in the category of “Best New Artist,” garnered “Breakthrough Artist” at the American Music Awards, won Billboard’s “Eventful Fans’” Choice Award for “Best Concert Tour of the Year,” and took home a Mexican Grammy, showcasing their international influence. The tremendous success of the band provided a launch pad for the successful and storied solo careers of Nick Jonas, Joe Jonas, and Kevin Jonas, who have kept loyal fans yearning for a reunion, until now. This entry was posted in Design and tagged 360, 360 Magazine, anthony mandler, channel miami, comeback, cool, Disney, JOE JONAS, jonas brothers, Kevin Jonas, mtv, mtvU, music, ncaa final four weekend, New Release, New Song, new video, Nick Jonas, Republic Records, sucker, Tara McDonough, Vaughn Lowery, viacom on April 5, 2019 by wp360mag. Mounting up to the biggest comeback of the year, GRAMMY® Award-nominated multiplatinum powerhouse trio–Jonas Brothers—capture their first #1 on the Billboard Hot 100. Not only does this mark the group’s very first #1 on the chart, but it’s the first #1 debut on the Hot 100 by a group in over 20 years, and the first #1 debut for a family group. It also elevates them to rarified air as “Sucker” is just the 34th single to achieve a #1 Hot 100 debut in the chart’s 60-year history and the first for a family. 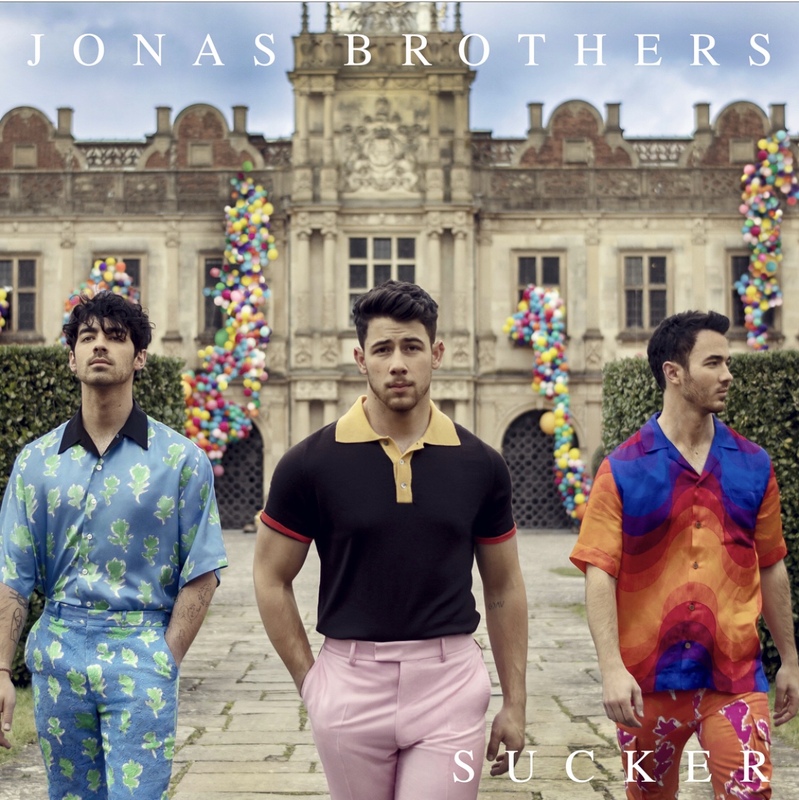 “Sucker” also launches as Jonas Brothers’ first #1 on Billboard’s Streaming Songs and Digital Song Sales charts. The excitement keeps growing though as the musicians retain their place atop the charts worldwide. As an international phenomenon, it achieves their highest career single chart debut in the UK, landing in the Top 10. Get it HERE via Republic Records. The official video reached nearly 20 million views on its first day and is approaching 65 million views and counting in a week since its release, check out Anthony Mandler’s Director’s Cut of the “Sucker” music video HERE. Fittingly, Jonas Brothers ended their takeover of The Late Late Show with James Corden on CBS by delivering the debut television performance of “Sucker.” Watch it HERE. Throughout the week, they engaged in multiple popular segments on the show. Their Late Late Show segments, including Carpool Karaoke and Spill Your Guts have racked up over 114 million digital views combined. Their takeover also kicked off on a hilarious note as they parodied their song “Year 3000” with the clever “Year 2019.” Not to mention, The Mentalist and Dr. Phil joined the party. This news comes on the heels of the Jonas Brothers announcing a partnership with Amazon Studios, Philymack, and Federal Films—a division of Republic Records—to release an upcoming documentary about the band. It’s set to premiere exclusively on Amazon Prime Video in more than 200 countries and territories. Jonas Brothers have returned and popular music and culture may never be the same again! The preeminent male group of this century, Jonas Brothers opened the floodgates for a new era of titans in pop music. They earned three consecutive number one albums and sold out shows throughout three continents. Selling over 17 million-plus albums with over 1 billion streams worldwide, they’ve achieved dozens of platinum and gold certifications. Jonas Brothers notable received a GRAMMY® Award nomination in the category of “Best New Artist,” garnered “Breakthrough Artist” at the American Music Awards, won Billboard’s “Eventful Fans'” Choice Award for “Best Concert Tour of the Year,” and took home a Mexican Grammy, showcasing their international influence. The tremendous success of the band provided a launch pad for the successful and storied solo careers of Nick Jonas, Joe Jonas, and Kevin Jonas, who have kept loyal fans yearning for a reunion, until now. A division of Universal Music Group, the world’s leading music company, Republic Records is home to an all-star roster of multi-platinum, award-winning legends and superstar artists such as Ariana Grande, Black Sabbath, Florence + the Machine, Hailee Steinfeld, James Blake, James Bay, John Mellencamp, Julia Michaels, Kid Cudi, Liam Payne, Of Monsters and Men, Post Malone, Seth MacFarlane, Stevie Wonder, Taylor Swift and more. Founded by brothers and chief executives Monte and Avery Lipman, it is also comprised of innovative business ventures, including American Recordings (The Avett Brothers), Boominati Worldwide (Metro Boomin), Brushfire (Jack Johnson), Casablanca Records (Tïesto), Cash Money (Drake, Jacquees, Nicki Minaj), Hollywood Records (Sofia Carson, Zendaya), Lava Records (Greta Van Fleet, Jessie J, Lorde), Monkeywrench (Pearl Jam), XO (The Weeknd, Belly, NAV), Young Money (Drake, Lil Wayne, Nicki Minaj), Roc Nation (Jaden Smith, Justine Skye, The Dream), among others. Republic also maintains a long-standing strategic alliance with country powerhouse Big Machine Records, and Universal Music Latin Entertainment. In addition, Republic has expanded to release high-profile soundtracks for Universal Pictures (Fifty Shades of Grey, SING), Fox TV (Lee Daniels’ STAR, The Four), and NBC TV (The Voice), as well as other notable film and television franchises. This entry was posted in Feature and tagged 360, 360 Magazine, Amazon Studios, carpool karaoke, CBS, Documentary, federal films, JOE JONAS, jonas brothers, Kevin Jonas, Nick Jonas, Philymack, Republic Records, spill your guts, sucker, Tara McDonough, The Late Late Show With James Corden, Vaughn Lowery, year 2019, year 3000 on March 11, 2019 by wp360mag. This week, GRAMMY® Award-nominated multi-platinum powerhouse trio — the Jonas Brothers —reclaim their place at the top of the charts and popular culture with their new single and music video “Sucker.”Get it HERE via Republic Records. Taking the world by storm, it captures #1 on Apple Music, #1 on Spotify, and #1 on iTunes in North America. Globally, it clinches #1 on Apple Music, #1 on YouTube, #1 on Twitter, and #2 on Spotify. Since its release, it scored over 20 million Spotify streams and is over 50 million YouTube views and counting. At radio, it emerges as the “#1 Greatest Gainer for Top 40, ”impacting now. Not to mention, “Sucker” garnered unanimous critical acclaim. Among widespread praise, it was dubbed “an absolute jam” by Billboard, christened “a banger” by Esquire, described as “an impeccably sweet-and-sour pop rock-tune” by Rolling Stone, and best noted as “a grown-up vision of The Jonas Brothers we didn’t know we were expecting” by NPR. To celebrate the release, the band took over New York City for an intimate and packed secret reunion show. It marked their first time on stage in nearly six years, and they returned with a historic gig that left fans clamoring for more. Yesterday, the Jonas Brothers announced a partnership with Amazon Studios, Philymack, and Federal Films– a division of Republic Records, to release an upcoming documentary about the Jonas Brothers, to premiere exclusively on Amazon Prime Video in more than 200 countries and territories. Anthony Mandler’s director’s cut of the Sucker music video was also released. Watch HERE. This week, they continue their takeover of The Late Late Show with James Corden. This late-night “residency” spanned everything from their first on-camera interview to a hilarious skit where the host kidnapped the band and reunited them with help from none other than Dr. Phil. You have to see it to believe it. However, there’s more to come. Watch clips from last night’s episode HERE, and be sure to tune in for more this week. Jonas Brothers are back and about to have their biggest year yet. Want to follow the boys? Below are their social medias to keep yourself updated. This entry was posted in Fashion + Music and tagged 360, 360 Magazine, Amazon, Apple, banger, billboard, boyband, comeback, concert, Esquire, Grammy, JOE JONAS, Kevin Jonas, link, links, music, new, Nick Jonas, npr, pop, Quote, Republic Records, Rolling Stone, social, song, spotify, sucker, Tenzin Tsephel, The Jonas Brothers, The Late Late Show With James Corden, Twitter, Vaughn Lowery, Video, vogue, watch, YouTube on March 5, 2019 by wp360mag. GRAMMY® Award-nominated multiplatinum powerhouse trio and arguably the definitive pop group of the 21st century— Jonas Brothers —announced their highly anticipated return to music. Marking the band’s first original release in nearly six years, and debut under their new partnership with Republic Records, their highly anticipated comeback single “Sucker” will be available Friday, March 1st worldwide at 12AM ET on all platforms. This entry was posted in Fashion + Music and tagged 360 Magazine, American Music Awards, comeback, Global Society, Grammy, James Corden, JOE JONAS, Jonas, jonas brothers, jonas comeback, Kevin Jonas, la, late late show, Max Mason, music, Nick Jonas, Republic Records, sucker, sucker jonas, sucker jonas single, teaser, Vaughn Lowery, YouTube on February 28, 2019 by wp360mag. Last night, Republic Records hosted a star-studded post-GRAMMY® Award celebration at Spring Place Beverly Hills. 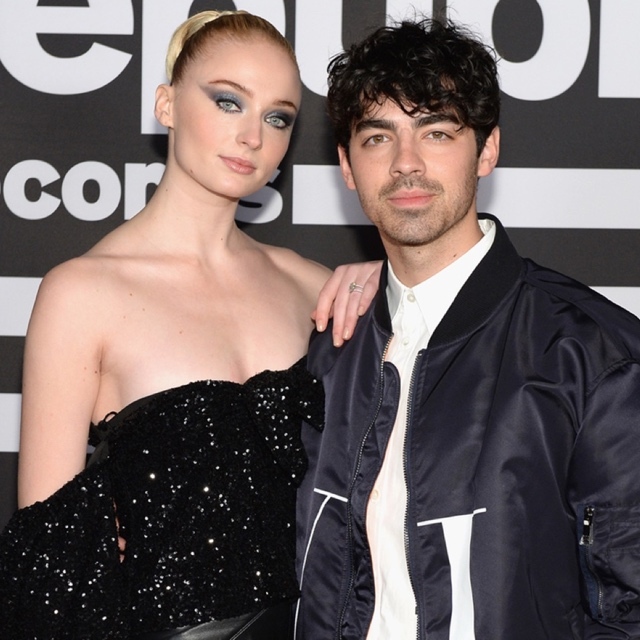 In addition to a DJ set from SG Lewis, the event featured attendees such as Alex da Kid, Anthony Ramos, Ashley Tisdale, Avery Lipman, Baby Goth, Brainwash, Bryan ‘Birdman’ Williams and Ronald ‘Slim’ Williams, bulow, Conan Gray, Derek Hough, Dinah Jane, Evvie McKinney, Fat Joe, Grey, Hailee Steinfeld, Hill Harper, Jackie Cruz, Jacquees, James Bay, Joe Jonas, Julia Michaels, Keiynan Lonsdale, Kiana Lede, Lil Reek, Macy Gray, Madison Beer, Monica Martin, Monte Lipman, NETSKY, Nina Dobrev, NLE Choppa, Omar Benson Miller, Paris Jackson, Picture This, Ryan Destiny, Sabrina Carpenter, Scotty Pippen, Shay Mitchell, Sofia Carson, Sophie Turner, Stanaj, Stevie Wonder, Zedd and more. Spring Place is an innovative and collaborative workspace and private membership social club. Launched in New York City’s TriBeCa neighborhood in June of 2016, the club caters to a global community of leading professionals and entrepreneurs shaping the business of contemporary culture. Spring Place regularly hosts events and global conferences with leading partners such as Barneys New York, Google, IMG, Independent Art Fair, TriBeCa Film Festival, and Vanity Fair as well as culinary pop-ups from the world’s best chefs and restaurants including Caviar Kaspia, Casa Cruz, among others. Spring Place comprehensively blends both collaborative and private workspaces with full scale food & beverage social spaces for enjoying and entertaining—that combine the services of a world-class professional office suite, boutique hotel-style amenities, and innovative cultural and wellness programming. Spring Place Beverly Hills, the club’s second location and first West Coast outpost, opened in October of 2018. Future locations will include London, Milan, and Paris. For additional information, please visit www.springplace.com. This entry was posted in Fashion + Music and tagged 360, 360 Magazine, Alex da kid, American Recordings, Anthony Ramos, ARCLAYS CENTER, Ariana Grande, Ashley Tisdale, Avery Lipman, Baby Goth, Big Machine Records, Black Sabbath, Boominati Worldwide, Brainwash, Brushfire, Bryan 'Birdman' Williams, Bulow, Casablanca Records, Cash Money, CÎROC VODKA, Conan Gray, CROCS, Derek Hough, Dinah Jane, Evvie McKinney, fat joe, FIJI WATER, Florence + the Machine, Grammy's 2019, Grammys, grey, Hailee Steinfeld, heineken, Hill Harper, hollywood records, Jackie Cruz, jacquees, James Bay, James Blake, JOE JONAS, John Mellencamp, Julia Michaels, Keiynan Lonsdale, Kiana Ledè, Kid Cudi, lava records, Liam Payne, Lil Reek, lyft, Macy Gray, Madison beer, Monica Martin, Monkeywrench, Monte Lipman, music, NETSKY, Nina Dobrev, NLE Choppa, Of Monsters and Men, Omar Benson Miller, Paris Jackson, Picture This, Post Malone, Republic Records, Roc Nation, Ronald Slim Williams, ryan destiny, sabrina carpenter, Scotty Pippen, Seth MacFarlane, SG Lewis, Shay Mitchell, sofia Carson, SOPHIE TURNER, SPRING PLACE BEVERLY HILLS, Stanaj, Stevie Wonder, Tara McDonough, Taylor swift, Universal Music Group, Universal Music Latin Entertainment, universal pictures, Vaughn Lowery, xo, young money, zedd on February 11, 2019 by wp360mag.